MELBOURNE, AUSTRALIA - Australia captain Steve Smith continued to be England’s Ashes nemesis on Friday as he passed 6,000 test runs in an unbeaten knock of 44 to help his team to 193 for two at close of play on the second day of the fifth test. The world’s top ranked batsman and Usman Khawaja batted through the final session in a 107-run partnership after openers Cameron Bancroft and David Warner had departed earlier in Australia’s reply to England’s 346. Khawaja notched a stylish 91 not out on the same ground where he made his test debut in the corresponding fixture seven years ago, but it was the wicket of Smith that England most desperately wanted. Smith joined West Indies great Garry Sobers as the second-fastest to tally 6,000 test runs, doing so from 111 innings. Only Don Bradman reached the 6,000-run mark quicker, from just 68 innings. 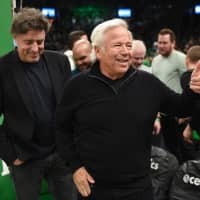 “We’re stoked he’s on our team so we don’t have to bowl at him,” Australia paceman Pat Cummins said. “He has no obvious weakness, no obvious time that it takes him to build into his innings. From ball one he knows his game so well. Smith raised the latest achievement in the final session at the Sydney Cricket Ground when he reached his 26th run of Friday’s innings with a paddle through square leg off test debutant leg spinner Mason Crane. The 28-year-old Smith, in his 61st test, only briefly acknowledged the standing ovation from the near 44,000 crowd at his home SCG before resuming his innings. 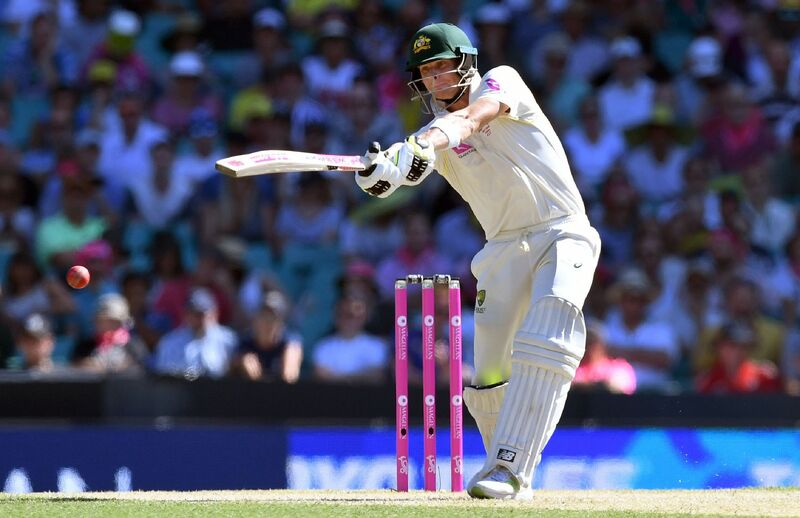 Smith has scored 648 runs from eight innings in this Ashes series, including two unbeaten centuries and a double hundred, at an astonishing average of 162. “Those big innings he has played as well, they have been really important,” Cummins said. “In Brisbane and Perth they were match-winning and in Melbourne it was match-saving. 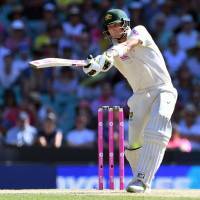 When he resumes on 44 on Saturday, Smith will set his sights on yet another hundred to equal Bradman’s record of four centuries by an Australian in an Ashes series.